What is the shape of hope in the Apocalypse (part ii)? 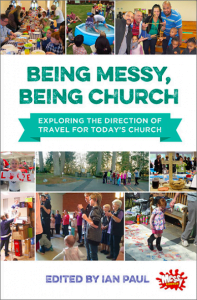 This is the second part of a presentation given in Manchester Cathedral in February 2018; you can read the first part with points 1 to 7 here. 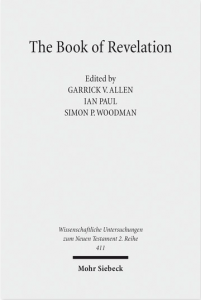 Commentators on Revelation mostly agree on two observations about chapter 12: first, that it is the central, pivotal chapter in the book; and secondly, that it is rather odd and difficult to make sense of! It is of central importance not merely because it comes at the half-way point of the 22 chapters. but because there is a solemn change of tone and language, where the previous repetitions of ‘and I saw…’ are displaced by ‘And a great sign appeared in heaven…’ What follows is the longest uninterrupted narrative section in the book. (Fewer commentators notice the way that John holds together chapters 11 and 12 across the sharp divide of Rev 12.1 by use of the threefold phrase ‘time, times and half a time’, ’42 months’ and ‘1260 days’, equivalent time periods which are referenced only in these two chapters.) The reason why chapter 12 is so difficult to make sense of for the ordinary reader is that the main narrative of verses 1 to 6, picked up in verses 13 to 17, are structured on the myth of Leto, Apollo and Python. This is itself a tale of hope, in which Apollo and Artemis are born of the union of Leto and Zeus, and Apollo, rather than being consumed at birth by Python, quickly grows up and defeats the chaos monster. It was a myth adopted by successive emperors who cast themselves in the role of Apollo and thereby embodied in their imperial power the hope of the end to the chaos of the world which was described graphically in chapter 6. But John subverts and inverts such rival tales of hope, and Jesus as the longed-for anointed king of Ps 2 displaces the emperor as the Apollo figure, whilst the Empire is revealed not as the enemy of but as the agent for the primeval chaos monster known to us as Satan. John is clear that it is the ‘blood of the lamb’, Jesus’ sacrificial death on the cross, which secures hope (Rev 12.11); it is this which earlier chapters have anticipated and adumbrated, and which successive chapters flow from. But this is expressed in their particular contexts by those who ‘hold fast to the testimony of Jesus’ (Rev 12.11, 17) and it is such testifiers (witnesses) who become the target for the ferocious opposition of Satan and his henchmen, the beast from the land and the beast from the sea (later described as the false prophet). Now that the security of hope has been revealed, the text unfolds its further visions until we reach the climax of hope in chapter 21. But along the way, it incorporates judgement as a dimension of hope that affluent cultures have always struggled with—but those living with the threat or the reality of oppression have had no difficulty in understanding. 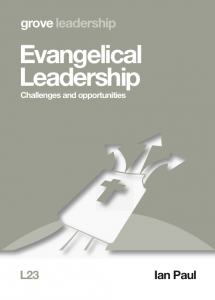 Chapter 14 begins with vision of God’s people with contrasts sharply with the vision in the previous chapter. There, they are trampled and oppressed, but here they are serene and secure. The imagery comes from the Old Testament narratives, and portrays a people in the presence of God and caught up with the praises of God, marked by a sevenfold virtue (count the attributes in Rev 14.4–5!) which have been formed in them by the seven-fold Spirit (Rev 4.5, 5.6, compare Is 11 LXX). But juxtaposed with this seven-virtued people is a seven-sickled judgement—the word for ‘sickle’ comes seven times in the chapter, expressing two different judgements enacted by two parallel harvests. The language of Rev 14.14 picks up the imagery of the grain harvest, which is consistently deployed by Jesus as a positive image of the gathering of God’s people to God, so that in Paul (e.g. Romans 8.23, 2 These 2.13, compare James 1.18 and Rev 14.4) those who believe now are the first part of that harvest which has ripened in anticipation of the end of the age. But the imagery of Rev 14.17–20 is Old Testament imagery of God’s judgement on those who have opposed him. The two harvests are offered as two swings of the same sickle—that of the justice and judgement of God. If we cry to God for the end to injustice, abuse and oppression, what are we praying for in relation to the oppressors, if it is not that God will hold them to account? As the third and final ‘seven’, the seven bowls, are poured out, the proclamation of God’s justice (Rev 15.3–4) becomes an insistent refrain. Along with the weaving in with the theme of justice in God’s judgements, this third sequence of ‘seven’ is distinct from the previous two in its shape and its vocabulary. It still has echoes of the 4 + 3 structure of the previous two, with the focus of the first four being the natural world, and the last three being more specifically directed, but it loses the interlude between 6 and 7 that we have seen before. The impact of the bowls has a stronger reminiscence to the plagues of Egypt, not least in their being specifically directed against those who choose loyalty to the beast and its kingdom (empire). This makes prominent the question of repentance; just as Pharaoh’s heart was hardened, so these plagues afflict those who ‘refuse to repent’ and recognise the sovereignty of God (Rev 16.9). In case we are tempted to think that all this is part of John’s vivid apocalyptic imagination, and unconnected with ‘gentle Jesus, meek and mild’, we are connected directly with Jesus’ parables about the sudden return of the Son of Man, and the need to be properly clothed (see the eschatological parables in Matt 24–25) which Paul also describes using the ‘thief’ language (1 These 5.2). And the visions of hope of the end of this age start to pick up the language of Isaiah’s eschatology, with islands fleeing and a new heavens and earth anticipated, language which is revisited in chapter 21. The hope of justice and judgement continues to be both Christological, gospel, and canonical. Come to the book launch for my new commentary on the Book of Revelation on Thursday April 19th. Another change of gear meets us in chapters 17 and 18. Despite our expectations set up in the first verse of an interpreting angel, this is the first time John is accompanied by one. Just as Ezekiel was carried in the Spirit into the wilderness, so is John, but he sees a rather different vision. Once again, we see very specific references to the indulgence of the Roman Empire of the first century, its violence and thirst for blood, and the oppression that results from its violence and consumption—all the while making some very rich by its conquest and trade. The list of 28 cargoes in Rev 18.12–13 would be recognised by any wealthy Roman as the marks of ‘high society’—John even going to the trouble of using the technical term for the four-wheeled carriages beloved by the wealthy. But, as he had done throughout his vision report, John describes these particular things using generic and biblical language, here adapting the denunciation of Tyre’s imperial power from Ezekiel 27. This particular empire is unique—but it is also the same as every other empire of human creation. Economic exploitation, environmental destruction, centralisation of power, and dehumanisation of those who are thereby enslaved has marked every human empire that has ever been—and Rome is no different. The hope for the end of all human empires/kingdoms is found only in the empire/kingdom of God. And every celebration of God’s justice in judgement of those who have been oppressors is accompanied by the reminder of the free gift of redemption and life given to all those who will come out of empire and renounce the indulgence and oppression of imperial power. The final vision sequence is comprised of seven unnumbered visions each beginning ‘And I saw…’ (19.11, 17, 19, 20.1, 4, 11, 21.1). 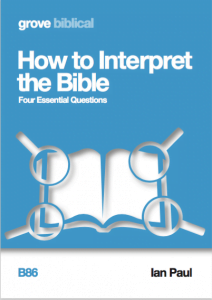 Some schemes of interpretation see these as sequential and chronological—but they cannot make literal sense when read in this way, and John’s circular movements in which he constantly revisits and expands on things mentioned earlier should warn us against such a reading. Instead, we are offered a series of insights into what the return of Jesus and the final victory of God means in all its richness and diversity. It means the final triumph of Jesus and the completion of all that he began to do in his earthly ministry. It means the decisive defeat of earthly power structures that serve the purposes of Satan. It means the vindication of the saints, and the visible justification of those who were visibly humiliated. It means the judgement of God, revealing the reality of every life that has been lived. It means the final binding and triumph over Satan, of which Roman ‘triumphs’ are but a poor imitation and anticipation. And it means the renewal of the whole created order. These visions include both clarity and ambiguity. There are some tensions which are never easy to resolve, in particular the reality of God’s judgement and his mercy in renewal. This is expressed most starkly by the fate of the ‘kings of the earth’, who are defeated in Rev 19.19 and yet bring their glory into the new Jerusalem in Rev 21.24. Will God destroy those who are opposed to him, or will he redeem and restore them? Yes he will. The final vision both completes the seven unnumbered visions from chapter 19, with John’s seventh and final use of ‘And I saw…’ And yet this final one of the seven both completes the sequence and transcends it—this introductory phrase does not occur after this point. And the vision of chapter 21 not only ends this sequence, but offers a clear counterpoint to the vision of the empire as the whore of Babylon in chapter 17. Where she had gained her wealth, her sumptuous clothing, her gems and her pearls through indulgence, oppression and greed, the city which is the bride of the lamb is adorned with the splendour that comes as the gift of God. As the vision unfolds, we see the convergence of promises from throughout the Old Testament, not least in the vision of Zion being lifted up and drawing all the nations to herself. The hope of the people of God for their renewal and their freedom from oppression expands until it includes the restoration of the whole world, and the redemption of people ‘from every tribe, language, people and nation’. And John does most of his theology through the mathematics of architecture. This remarkable city is large enough to encompass the whole of the Roman Empire, and incorporate all its people. And where, in the Old Testament narrative, the world is differentiated into graduated spaces of the mundane and the holy, from the world as a whole to the land of Israel, the city of Jersulam, the temple courts, the place of sacrifice, and the holy of holies, each stage bringing us close to the presence of God, now the whole world is one undifferentiated space of the holy of holies, expressed by the city being a cube. And in this undifferentiated space is an undifferentiated holy people, every one fulfilling God’s plan for his people to be a nation of (high) priests, serving in his presence. As John completes his vision report, there is a striking shift in focus. Just as John has been unconcerned with the role of angels, and has wheeled them on stage and shooed them off again, in order for us to focus on the message and not on the angels themselves, so now he shifts from an emphasis on his visionary experience to the importance of the words he has used in his vision report (which in fact is nearly 50% a report of things he has heard rather than what he has seen). The final verses bear a strong resemblance to the closing words of Paul’s letters, and particularly 1 Corinthians. Paul takes up the pen from the hand of the amanuensis, and signs his own name as the mark of authenticity, even while the amanuensis also gives his own greeting. And in Rev 22.16, Jesus does the same, authenticating the message that he has given John. Just as Jesus has been the faithful witness, even to the point of death, so he has invited John to be a faithful witness to him. And John now passes us his testimony and asks us, his readers, to be faithful witnesses to the message that he has faithfully testified to us. In case we are not clear of the connection, he once again does his theology by mathematics, with the terms ‘Jesus’, ‘the saints’ and ‘the Spirit’ all occurring 14 times, 14 being the product of 2 (the number of reliable witness in Deuteronomy 17) and 7 being the number of completion. Will we be faithful witnesses to the hope that is in Jesus in the particulars of our context, as John was in his? Q: In the light of this, what does it mean to be the hopeful and hope-filled people of God in a world of no hope or false hope? Should we believe in hell? Hebrews 11: Now faith is the assurance of things hoped for, the conviction of things not seen. Indeed, by faith our ancestors received approval. By faith we understand that the worlds were prepared by the word of God, so that what is seen was made from things that are not visible. Do things that are “not seen,” and, therefore, one assumes, are not available or open for examination since one needs to see to examine, provide evidence for themselves? In what sense is “conviction” evidence? Perhaps faith IS without evidence and is none the worse for that. After all, if you knew then it wouldn’t be faith at all. Believing is not knowing and I say that not because I think knowing is better and want to deny it to the believer but because there is a fundamental difference between the two. This becomes important in the context of Revelation when one asks what being a “faithful witness” really amounts to. On my thinking, it cannot be contiguous with someone who knows. God, on this understanding, does not reward those who know. He rewards those who believe. 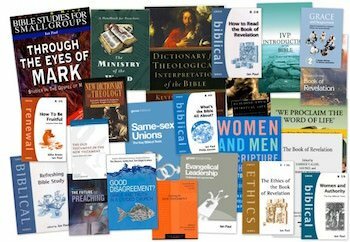 Two NT contexts, 2 Corinthians 5.7 and Hebrews 11.1ff., showcase one important (and obvious and never-disputed) aspect of pistis/pisteuo: the fact that it is not the same as knowing or seeing and falls short of both. However, this is only a *negative* aspect of what pistis/pisteuo is (it tells us what it is not! ), so cannot be called a definition. And the vast majority of the very many New Testament instances of pisteuo and pistis are not dealing with that single angle. Bear in mind that our ‘faith’, ‘believe that’/’belief that’, ‘believe in’/’belief in’, ‘trust’, ‘commitment’ are all represented by this Greek word group. This is a key instance of English not mapping onto Greek at all. Which is why this same conversation keeps happening. and whose reality is not in question.
. And that is indeed light years from the Bertrand Russell parody. I view the scripture as ‘evidence’, in this case it’s about Jesus and culminates in a witnessed raised Jesus. It does not force faith as nothing can…but it gives a gate to enter…. Ian, the basis for John’s gospel (as indeed for Revelation actually) amounts to “I was there. I saw it.” Now which of us would accept that from a stranger about anything important without checking for themselves and establishing their credentials? Yet we don’t even know who the speaker/writer is in these cases! I would like to distinguish between believing in things because we decide we are in sympathy with them (faith/hope/trust) and believing in them because we have tangible, nameable, demonstrable reasons (evidence). 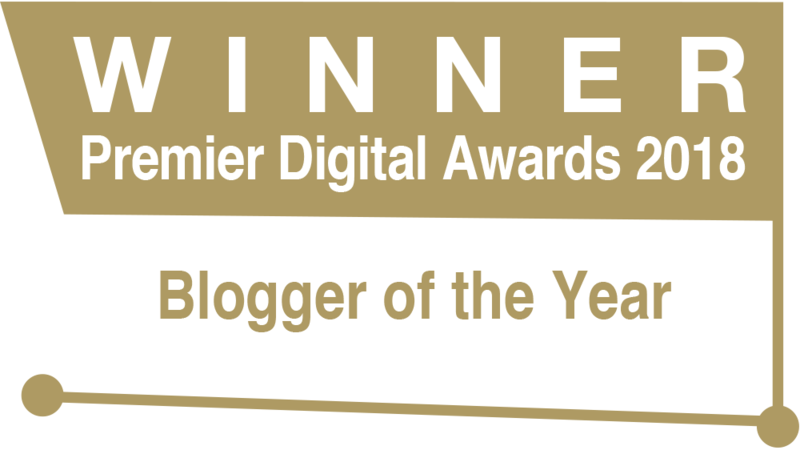 Thanks Andrew….What place to you give to divine inspiration? I can’t say I was ever in ‘sympathy’ with the idea of Jesus’ resurrection. But on hearing about it and thinking about it, it seemed credible or reasonable. I took the risk of believing it. The context wasn’t unimportant… it was within a group where some believed and, in my eyes, they were also credible as people. Ian, my view is that if bible readers get down to “divine inspiration” as their ultimate ground then something is wrong. And something is wrong because this is a ground that is unanswerable and, in my view, its meant to be. Its a conversation-stopper not a conversation-enabler. Anyone can claim “divine inspiration” for anything and as its a non-demonstrable quality its not one open to investigation or discussion. So that is on the “in sympathy” side of my faith/evidence divide for anything that is “evidence” is publicly nameable and arguable. I should say that I approach the bible from two main angles, that of public study and scholarship and that of an ordinary reader. Neither position requires religious faith or the holding of religious doctrines although, of course, no position on anything is without presuppositions. Inspiration and revelation are necessary because God clearly ‘believes’ that we can’t think our way out of sin and into the life of Jesus. Clearly God-given reason is useful 🙂 but can’t be foundational beyond the place Paul gives it in Romans that we can from creation know something of him. Reason is applied to grasping what scripture is saying. I’m sure there is concious and unconcious interplay between the two but I do believe that scripture has the first and final word. I’m normally found arguing (as in my preaching this morning) for reasonable faith (intelligent/rational thinking about belief) but not in self as authoritative. Ian, I understand your position and hope you’ve understood mine. I would reply here but feel that it will take us too far away from the original post. Perhaps there will be other opportunities to discuss “sin,” God and what he wants, biblical interpretation and associated topics. Its fair to say, however, that any position which talks about “what scripture is saying” is one that I would find inadequate not only to the bible in particular but to the very act of reading itself. Books are mute. People decide what they mean. As both Richard Bauckham and John Goldingay notes, ‘testimony’ has two dimensions to it: facticity; and personal experience. Without the first it is mere romance; without the second it is brute fact. The early followers of Jesus accepted the documents of what we now call the New Testament as addition to the canon of the Scriptures because they believe that they manifested testimony to Jesus in both these senses. In Eschatology’ the title of which is suggestive of its content. ago but cannot recall any response? On the book of Revelation should venture further without perusing this work. A big claim, I know, but amply justified I think. this book signally fail to do. Thanks—I think you or someone else has mentioned this before. He appears to take a similar line to Tom Wright, who was influenced by R T France, who in turn was influenced by G B Caird—and mostly I agree with this. 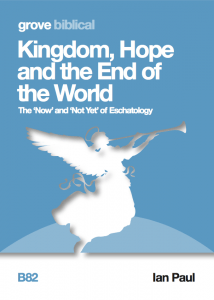 I make some similar points in my booklet on eschatology. Thank you Ian for this post and the 1-7 article. 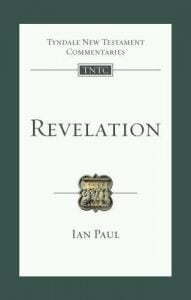 I’m wary of making any comment as Revelation is a book that needs to be studied, as you have, although I’ve skimmed a popular level condensed commentary based on GK Beale’s commentary, with Beale’s approval, and Sam Storms “Kindgon Come” which is more broad brush, looking at end times. Both conclude that in sum, scripture points to amillenianisn. One early point in the Beale redaction, is that the Revelation is a pastoral letter. Are we not to live in the present looking both ways, to the security achieved by Christ in the past and to our present and future position him. Are we not, in effect, to live backward from our position in Christ “…raised with him …Ephesians Chapter 2. But, here and now, there is so much to divert us, from that settled past, present and future certainty. Has this question not been discussed almost ad infinitum by many theologians and atheists? Not that I’m seeking to dissuade either of you, but isn’t it beyond the scope of comment boxes? As Ian P said in the preface to points 1-7: “We cannot talk theologically about things that are not meaningful personally. We cannot share what we do not know as a reality for ourselves.” Faith and reliability of evidence and experiential encounter with the risen Lord, Holy Spirit convicting, convincing, enlightening, nor mere intellect, but no less intellectually satisfying.